Shop Amazon & Help Support the FISD Education Foundation!!! Support the Floresville ISD Education Foundation when you shop on Amazon by using Amazon Smile! 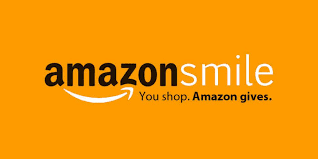 Amazon Smile Foundation will donate 0.5% of the price of eligible purchases when you shop at smile.amazon.com. It is the same Amazon you know - same products, same prices, same service. Your shopping cart, wish list, and other account settings stay the same. Please help support next year's 5th grade campers. 4th and 5th grade students are selling chocolate candy bars to help with the cost of 5th grade camp. Please RSVP using the link by clicking on this news announcement if you plan to attend your child's party. If you have any questions, please contact your child's teacher. Show-off your culinary skills! Submit your favorite healthy Mexican recipe! Five lucky winners from each elementary school will be chosen as finalists to compete in our contest at Floresville High School on March 21, 2019, from 2-7pm. As an added bonus, the winner of this event will be entered into a National Competition for some great prizes! Entry forms are available in the cafeteria, in the main office or click the headline. Turn entries in to the cafeteria or main office by January 23, 2019. In an effort to improve safety and security of our students and to help reduce traffic congestion on Hwy. 97 and Hwy. 181, FSE will be changing the drop-off and pick-up locations. Morning and afternoon car line will no longer be in the loop at the front of the school. 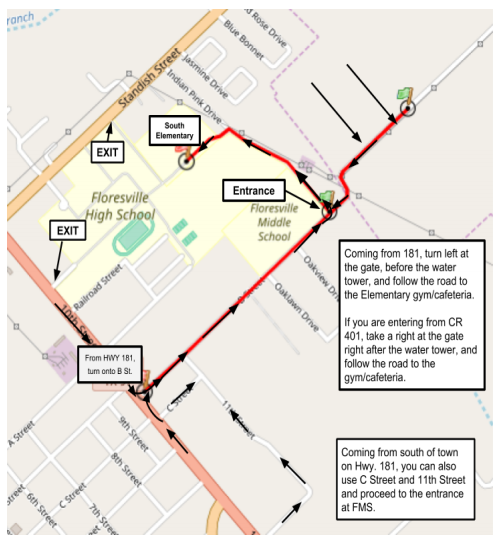 All car line traffic will be SINGLE LANE coming up the side of the campus adjacent to the cafeteria and gym, where the buses previously loaded/unloaded.